It’s time to keep naming the absolute best disc golf discs in the world! At least, the best in our opinion! Today we will be naming our nominees for the best disc golf midrange discs on the market today. Before I list the nominees for The Infinite Discs Best Disc Golf Disc: Midrange Disc, lets break down what we are looking for when selecting these discs. Like with all of the discs in these posts, we are using two keywords for choosing our nominees: popularity and utility. We will choose popular midrange discs that can be utilized by disc golfers of all skill levels. First, lets take a look at which midrange discs have been the best sellers so far in 2018. It doesn’t look like there are too many surprises in the sales chart. The Innova Rat was released at the start of 2018, and it looks like it has been able to maintain positive sales numbers throughout the year. It will be interesting to see how this disc performs over the next few years as well. Far and away the most popular disc in the Discraft lineup, the Buzzz is a staple of the disc golf world. It has been part of the game since 2003. For many years disc golfers had two main choices for midranges, either the Buzzz or the Innova Roc. As the sales numbers show, both of these discs have proven to stand the test of time. The Buzzz offers a smooth, beadless profile that fits comfortably in the hand for all sizes and grips. It offers a very stable flight that can be used by disc golfers at all skill levels. 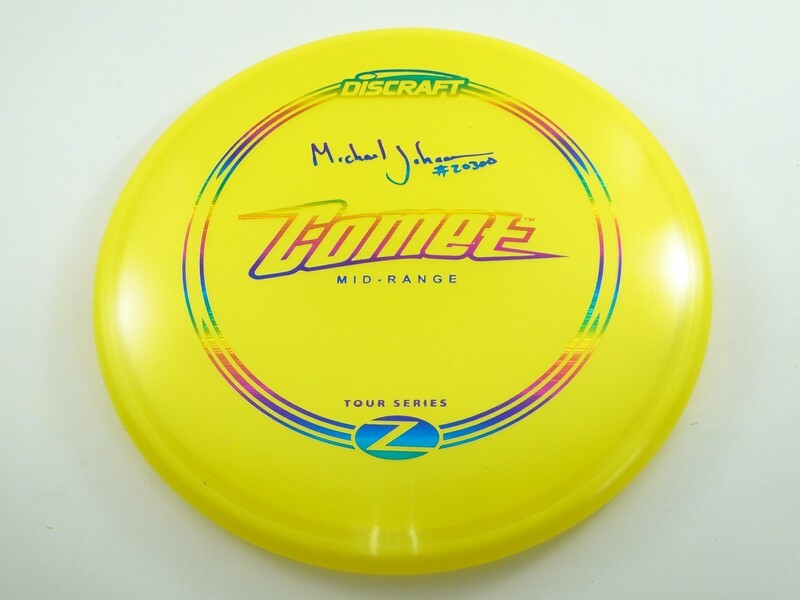 Another disc to show that age doesn’t matter, the Discraft Comet has been a part of the game for over 20 years. The Comet‘s mold is unique with a significant bead and more significant dome that offers a very understable flight with lots of glide. The Comet is great for beginners looking to get some distance out of their midrange, and perfect for more experienced throwers trying to navigate tight fairways. The Emac Truth is DD’s third effort at crafting a midrange with a “true” straight flight pattern after the disc now named the Verdict was too overstable and the original Truth was just a bit too understable. But the Emac Truth was worth the wait, as it is an excellent midrange disc for all skill levels. It offers a flight that is right in between a Buzzz and a Roc in stability. Faster armspeeds shouldn’t have to worry about turning it over, and newer players who find the Roc fades out more than they’d like, the Emac Truth should be just the right fix. 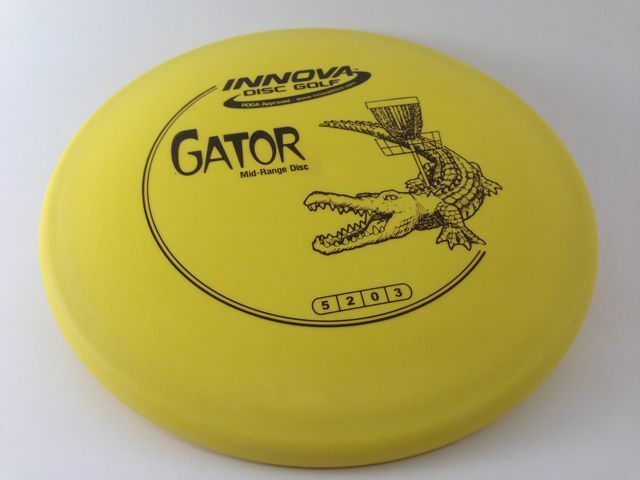 The Innova Gator is one of the original “utility” midrange discs. The Gator is designed to fight stiff winds and dive around tight corners on the course. It is a great approach disc for more experienced throwers who can master its very overstable flight. The Gator is not a beginners disc by any means, but it has its purpose on the course. 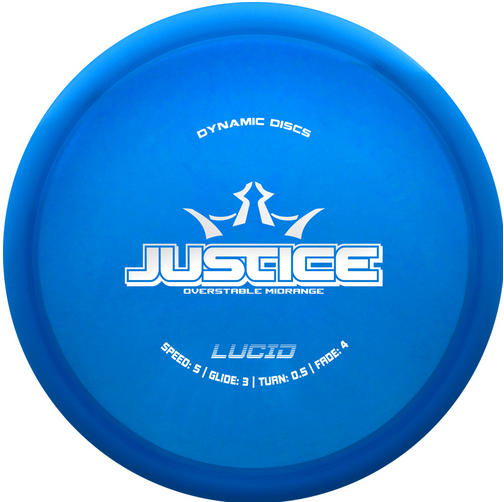 The Dynamic Discs Justice brought an entirely new meaning to the term, “overstable” when it was released in 2015. Take everything I just said about the Gator and multiply it 2 or 3 times. The Justice is a true “Meathook” designed to hold up to any kind of wind out on the course. Try to turn it over, I dare you. Again, not for beginners, but still a great disc that fulfills a great purpose for those who have learned how to throw it. The Prodigy M4 is a midrange that hasn’t gotten a lot of hype recently in the disc golf world, but that doesn’t mean it should be forgotten. The M4 is a straight flyer that is just a bit more understable than the Buzzz. Of all our nominees, it is one of the most beginner friendly midrange discs. It has a beadless rim design and is offered in a variety of Prodigy’s premium plastic blends. The Innova Mako3 is another very beginner friendly midrange disc. More experienced throwers like to use the Mako3 for longer hyzer-flip shots and is great when you need a midrange to hold straight throughout the flight with very minimal fade. The Discmania MD3 has grown in popularity as Discmania team members like Eagle McMahon have been throwing it all over the course. Probably the most comparable disc to the MD3 from this nominee list would be the Emac Truth. they both hit that sweet spot in stability that is right in between a Buzzz and a Roc. The Hyzerbomb Mortar is another utility midrange. It is very overstable, but not quite as much as the Gator. This is because of the only real difference between the two molds, which is that the Mortar is beadless. 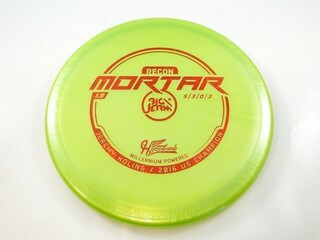 This makes the Mortar very popular for disc golfers who prefer to forehand their approach shots in the wind, as the beadless design allows for an easier and more consistent forehand grip and release. 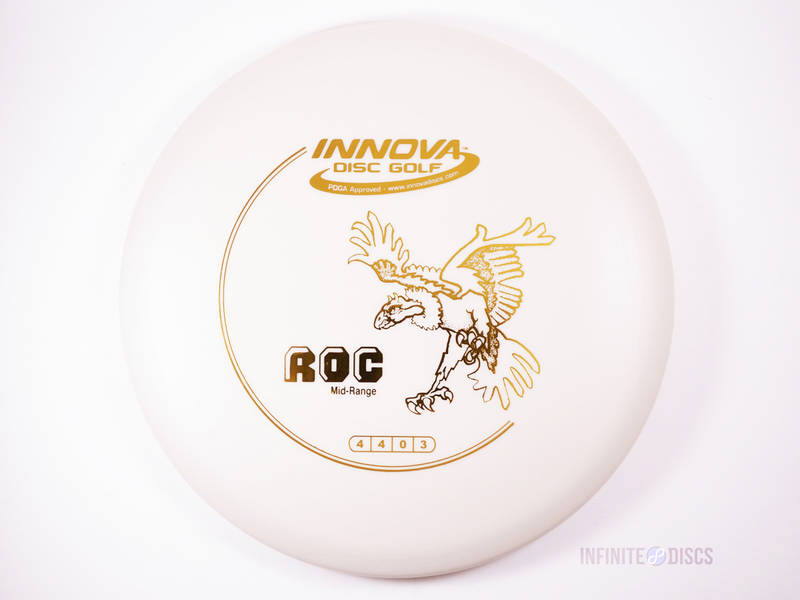 One of the original midranges in the game, the Roc has been flying around disc golf courses for now over 30 years. The Roc is a domey disc that has a comfortable beaded rim. This beaded rim makes the disc a bit more overstable than several of the other midranges on this list, but that doesn’t mean it isn’t beginner friendly. This disc flies straight for a long time and then has a reliable strong fade at the end. 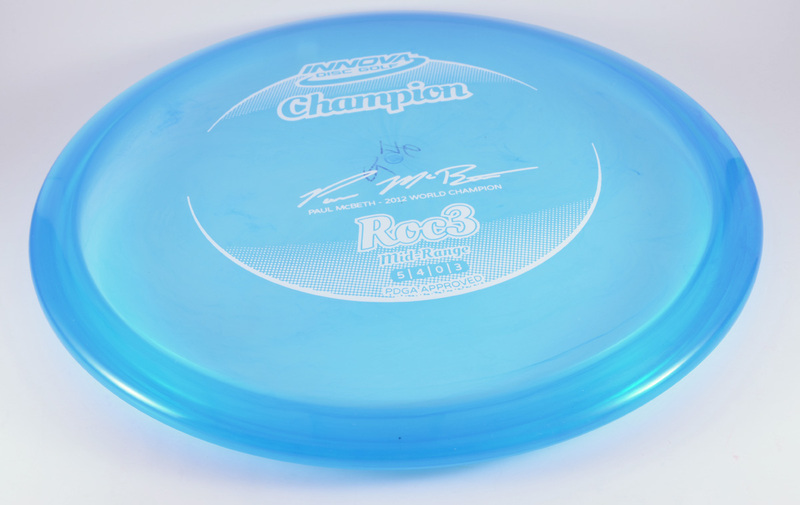 Normally we wouldn’t give discs like the Roc and Roc3 their own individual nominations, but the Roc3 has shown that it has its own following that is seperate from its predecessor. They Both have very similar beaded rims, but the Roc3 is a bit flatter, and it is rated to be just a bit faster than the Roc, which allows for a little more distance in the air. Both discs have proven to be staples of the midrange category. And the 2018 choice for best Midrange Disc Golf Disc is….. If you have been following these posts, you should know by know that we aren’t picking upsets. 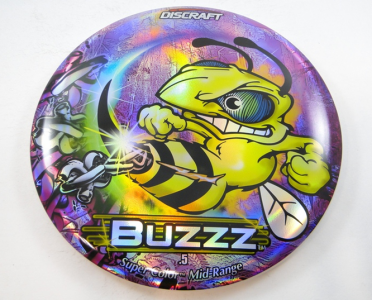 The Buzzz is the old standard for midrange discs. 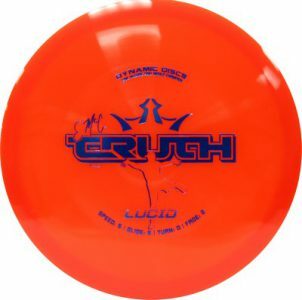 It is a pure, straight flyer that disc golfers of every skill level love to use. 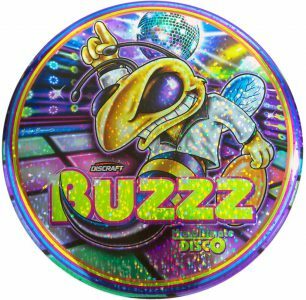 The old debate of Roc v. Buzzz will never die, but we had to choose the Buzzz because of its friendlier stability for newer players and the comfortable beadless rim that allows for the occasional forehand throw. The Discraft Buzzz is our choice for the best midrange on the market today. What are your favorite midrange discs? Share your opinion in the comments below. Love my infinite stamped Glow Mortar!!! My Glow E-MAC MD3 is my absolute do it all disc. If I had to choose just one disc to play a round with, that’s it!! The Prodigy M4 in 400G plastic is it. The disc is a really straight flyer that you have to convince to hyzer or anhyzer, but once you talk it into doing it, it performs with smooth dependable flight paths. Very predictable.